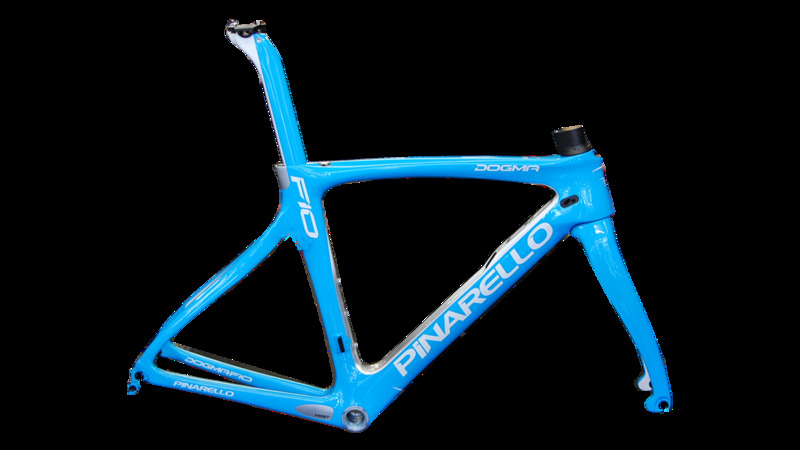 The Pinarello Dogma F10 Road Frameset is a thoroughbred machine that sets you up in an aggressive, all-day performance position. You'll be able to benefit from the very same performance advantages that have carried many of the pro-peloton to victory. 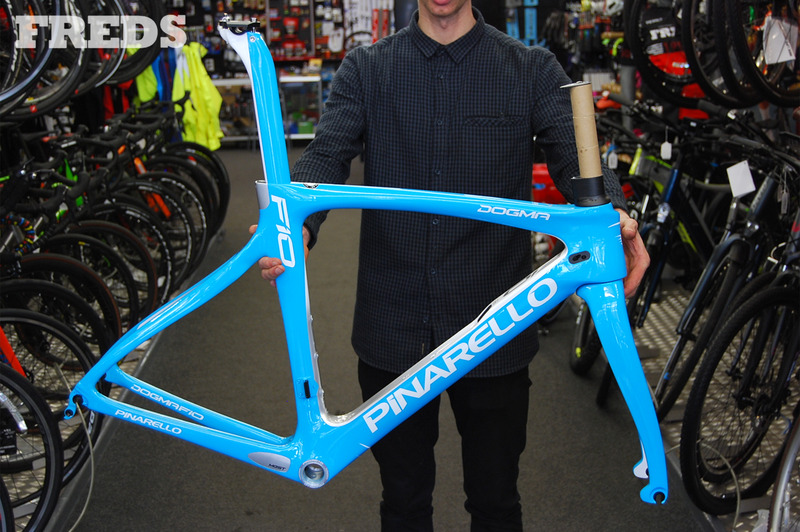 A revamped, reconfigured and remodelled version of the Pinarello F8, this model boasts a 20% improved aerodynamic performance, a feat impressive considering the painstaking development put into the Dogma F8. Conjuring this improvement from a far more efficient downtube featuring a Flatback shaping that shields bottles whilst incorporating space for the junction box of your electronic groupset, the drag caused by your essential add-ons is much reduced, allowing you to go further and faster than before. 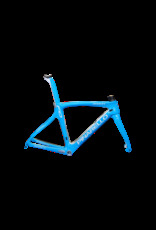 Chief amongst the frames redesign though is the borrowing of the ForkFlap from Pinarello's Bolide TT bike. Incorporated in this new ONDA F10 fork with ForkFlap, you can benefit from a 10% reduction in drag over the previous F8 model. With the Torayca T1100 1K DreamCarbon making for a net weight of 820 grams in total and offering the most advanced carbon construction technology so far seen on a road bike, this bike is also 7.1% more rigid than its predecessor, allowing you better transfer of power and improved climbing performance. 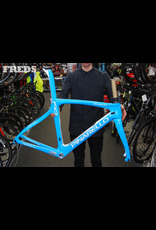 Finally, making intelligent use of an asymmetric frame design and aggressive geometry, the Pinarello Dogma F10 Road Frameset comes UCI approved and uses an Italian threaded bottom bracket. Providing the rider with internal cable routing and all-around optimisation for the rigours of high-paced, high-performance road riding, this frameset is a sure standout.